Over 200,000 individual wine, beer, and spirit reviews! 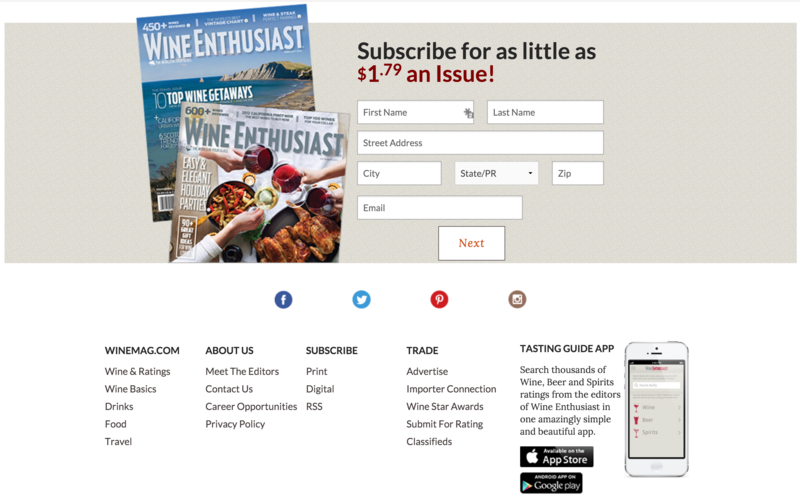 Trellis developed a new website for Wine Enthusiast that has a simplified navigation and immersive layouts offering a 360-degree view of any topic. The site is built with the WordPress CMS and Zurb's Foundation framework to be fully responsive and accessible on any device. We've completely revamped the search and it is accessible from anywhere on the Website. 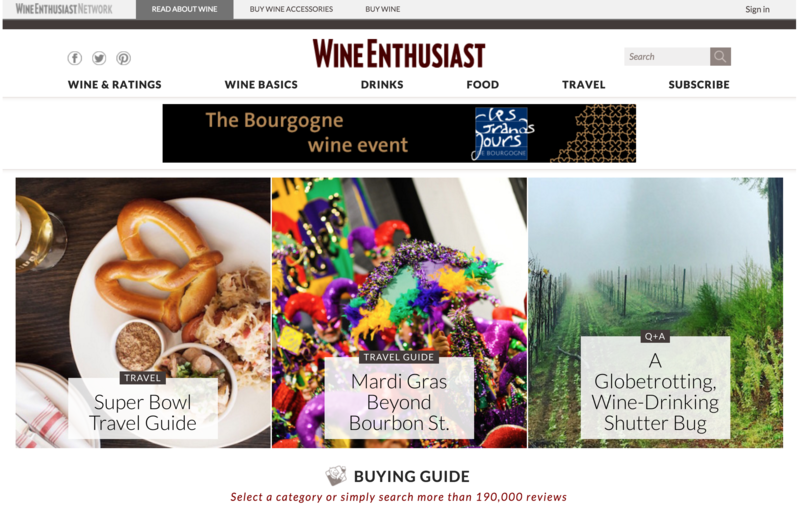 The new site allows both the novice and expert alike to find articles and access more than 190,000 wine, beer and spirit ratings and reviews for FREE.